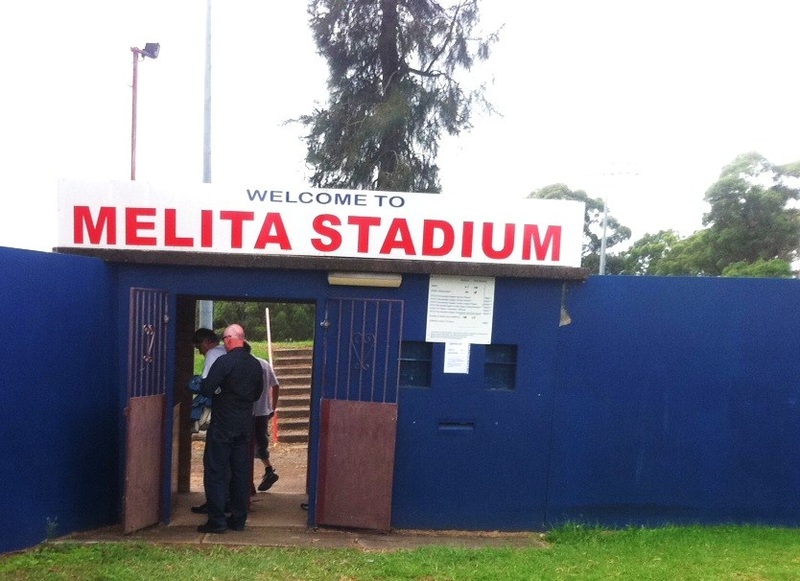 ANZAC Day was remembered at Melita Stadium on Monday with a visit by third placed Sydney Olympic taking on NSW Premier League cellar dwellers Parramatta FC. A man of the match performance from ‘keeper Anthony Costa combined with some desperate defending was all that saved the home side from an embarrassing scoreline. Olympic claimed all three points with a 1-0 victory, leaving the Eagles searching for answers. Olympic frontman Alex Smith was in the action early, latching onto a curling freekick in the 2nd minute yet managing only to glance the ball wide of the post. Early signs pointed toward an Olympic win, with Parramatta keen to continue their defensive, counter-attacking football. This didn’t however inspire confidence and the Eagles’ defense were continually opened up throughout the match. It was mostly one way traffic in the first half and in the 8th minute Smith capitalised on this dominance by scoring the opener for Olympic with a calmly slotted ball past Costa. Smith was released on the left flank by Robbie Mileski who played through a well timed pass to set up the goal. After what seemed like an eternity in Parramatta’s half the Eagles finally began to feel their way into the match after 30 minutes. New recruits Brodie Mooy and Matt Osman had vastly differing home debuts. Whilst Osman made an impact, particularly into the second half, Mooy had a night to forget. Wayward passes and crosses are signals that perhaps he need more time to gel with his Eagles’ teammates. Costa was called into action in the 33rd minute and pulled off a good save against a powerful Mileski shot from close range. Two minutes later Mileski could have again put Olympic two in front, unmarked on goal and again denied. Alex Smith proved why he is leading goalscorer in the NSW Premier League, finding himself first to yet another curling ball into the box. Costa made a wonderful close range stop and firmed his position as first choice Parramatta ‘keeper. On the edge of half-time Almir Dizdaric, in the middle of the box, held off his defender and found Bryan Soane out wide. Soane powered in a shot across the face of goal which failed to test Olympic goalkeeper Paul Henderson, leaving the score 1-0 at the break. Both teams had early chances in the second half with neither able to capitalise on their time in front of goal. It was to be indicative of the half as the game became a scrappy contest played out in the middle third. While Olympic continued to have the greater share of possession indecision and failure to keep the ball on the ground let them down. Parramatta playmaker Kutaiba Elrich returned from injury in the 61st minute and had an immediate impact before getting booked for a heavy challenge. A minute later he could have seen his second yellow for what looked like a soft freekick. Cries from the traveling Olympic fans to send him off were acknowledged by the referee who gave Elrich a prolonged talking to. The game finally came to life again in the 74th minute when a Matt Osman shot hit the post and trickled along the goalline only to never pass the posts. Up the other end a flurry of chances to Olympic again failed to be converted by the boys in blue. Smith needed only to pass a square ball to awaiting Takayami Omi but chose instead to take a touch, Costa saving the Eagles yet again. With four minutes left on the clock Osman could have leveled the scores, finding himself on goal with time to shoot. His eventual shot however was too weak and failed to test Henderson. Fellow new recruit Mooy almost redeemed himself with a clinical cross into the box to find Elrich open in front of goal. Elrich took a touch and impossibly put his attempt over the bar. Sydney Olympic remain third in the NSW Premier League equal on points with Sydney United, although United have a game in hand. Parramatta are yet to win a match although continue to be competitive against tough opposition. They face Manly next week and will hope to pick up three points having seen key players successfully return from injury tonight.